Editor Find! What the Heck is a Tugley? A few days ago, I spotted this winter-ready rig on the side of the road near North Scituate, Rhode Island. I was on my way to inspect some rare junkyard parts for my rusty 190E 2.3-16 project and had to pull over to grab some pictures for our readers. 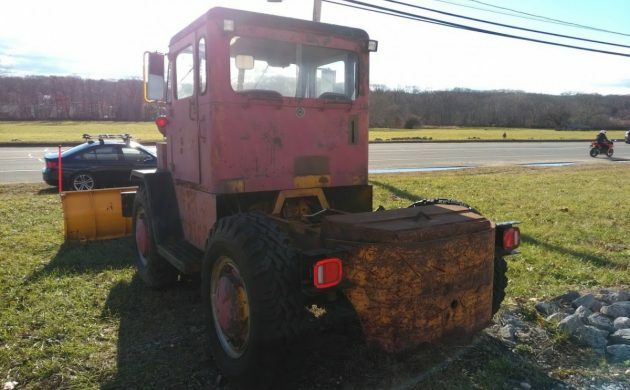 It’s for sale, but there’s just one problem: I can’t find any information on the make or model of this rig, which has one potential clue with the name “Tugley” on the front. Or is it just clever nickname? I’m sure our readers can figure this out. The Tugley branding looks just close enough to professional to be an actual make or model, but I suppose someone who was friends with a graphic designer could create the branding as well. 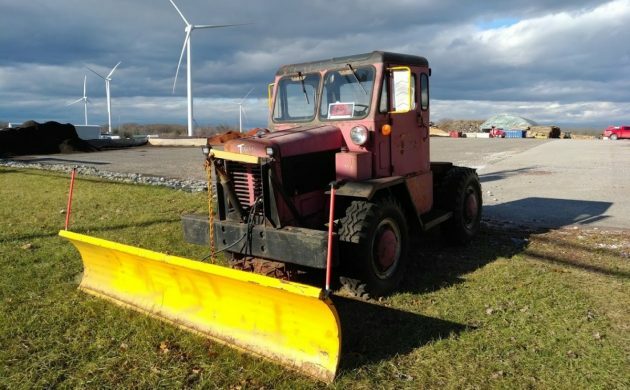 It certainly looks the part of an aircraft tug that’s been converted to snow plow use – perhaps this vintage rig formerly plowed runways at nearby T. F. Green Airport. The truck itself is a simple apparatus, with an upright cab featuring seating for two. The body design absolutely indicates a previous life as a tow vehicle, so hopefully it’s counter-balanced properly with the heavy plow and attachment up front. 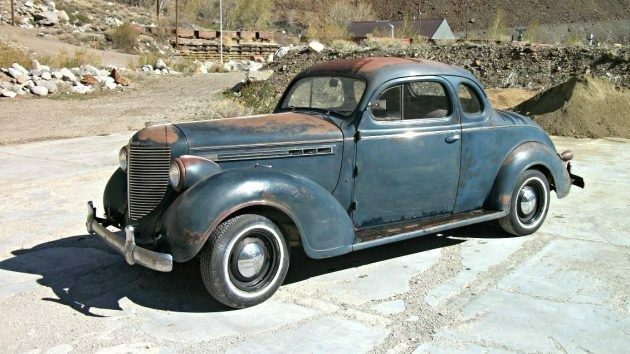 Rust isn’t too bad, but there’s plenty of surface corrosion to contend with. The large tires appeared to have plenty of bite left to them. 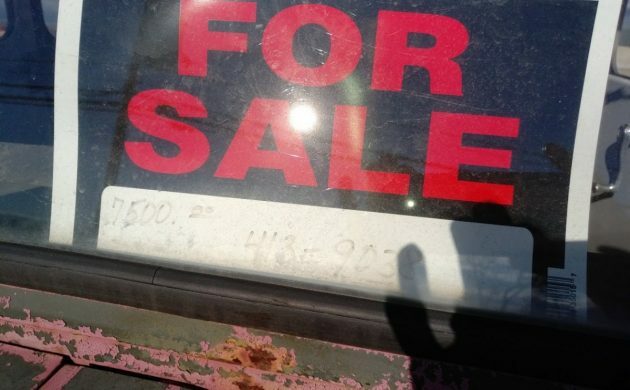 The faded sign shows an asking price (or possibly firm price) of $7,500. I noticed the phone number got washed out, so let me know if you’re interested in the full number as I’ll be back this way tomorrow. 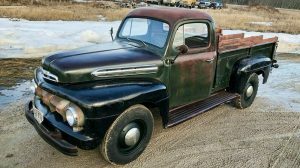 If you know the origins of this truck or more details on the mechanical bits underneath, please let us know in the comments below. It’s an airport tug of some sort. Living in CANADA’s capital necessitates efficient snow removal capability. MB4 Aircraft Tug looks like the King of snow plows IMHO. 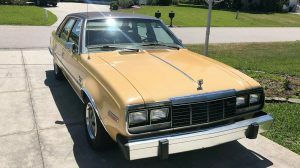 If I was Warren Buffett I would be on this like white on rice. It could have come from Quonset Naval Air Station down at Quonset Point. They build subs down there now. knock a 0 off and we can talk. job on it and I’ll guaranty the local rednecks here would be all over it! Zero use for this even if it was free, but I want it. What’s wrong with me? I’ll defer to John S if he knows what it is — to me it looks like the small tractors they use to ferry trailers around large yards to load/unload, for maintenance, etc.. They don’t go very fast and I wouldn’t want to drive this one at any speed with the potential counter-balance issues. Might be good for use as a plow vehicle but can’t really think of any other use for it. Agree with the above comment that it’s got 1 too many zeros in the price. Sorry, I defer your deferment, John is right. 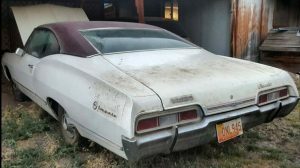 It’s a ’57-’70(?) Coleman MB4 ( all wheel drive, all wheel steer)airport tug. They were made in LIttleton, Col. The name indicates what it is for to me. It’s a yard rig for moving trailers, boats, mobile homes, etc around a large complex instead of tying up an expensive road tractor. Not for highway use and probably has limited use as is. Just my guess. 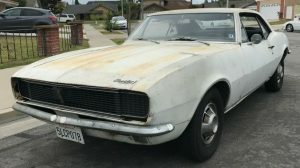 Curious to know what year it was made. 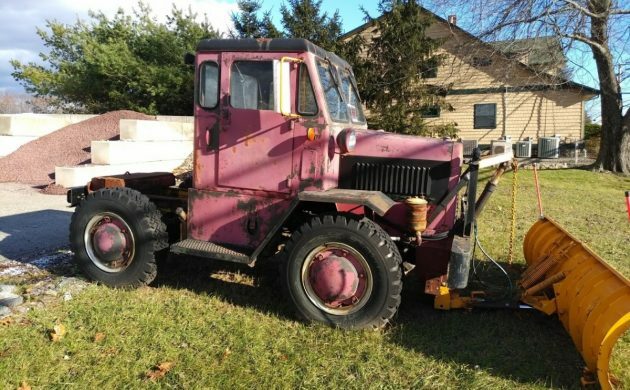 If you needed to do some plowing where there’s a lot of tight turns to be made this would certainly be the thing to have for $2k in running condition. It may be a Coleman MB4, as folks have said, but that looks like a modified DJ-3 Jeep (aka Postal) cab to me. Are you sure it didn’t say fugly on the front. It has a huge counterweight hanging off the stern. Coleman MB4 Aircraft Tug “TUGLEY” Ugly and F= Fugley hence: Ugley Tug = Tugley Dose not take long to figure out who ever named it said :Dame That’s Ugly. Not my ad. Just saw it pop up and it reminded me of this Tugley.